Most visitors to my website have a strong interest in how to build social skills among children and teens. That’s great, because social skills make a huge difference in a child’s happiness and success – and they are skills that can be built and improved in everyone. Naturally, all kids have a different starting point. As we coach kids in these skills, our job is to work toward closing the gap between their current level of social achievement and what they are ultimately capable of. As a speaker, it’s interesting to “check the pulse” and hear what the common concerns of parents and educators are across the country. In the last few weeks I’ve been at places as diverse as Bridgton Academy in Maine, a private post-graduate (year “13”) school for young men, the Wellesley (College) Mother’s Forum, speaking to parents of infants to age 12, and Lake Highland Preparatory Schoolin Florida, whose students cross the entire spectrum, from PK-12. In each place, participants brought excellent insights and asked thoughtful questions about a range of issues. But despite geographic, demographic, and institutional differences, it seems people are keenly interested in knowing the most effective strategies for building social skills in their children or students. Those who have read my books and follow this newsletter know that my advice comes from a synthesis of clinical experience and scientific insight. But what are the besttechniques in this regard? Having contemplated this question for several years, this issue of Family Matters summarizes what I believe are the ten most useful ways to boost a young person’s social IQ. The most basic building block of being socially skilled is to have developed a working vocabulary of social language. A landmark study by Hart & Risley clearly showed that children who are exposed to social language in their home – hearing it exchanged between parents – have a much greater likelihood of making it part of their own speech. However old a child might be, it’s never too late to expose him or her to the rhythm, tone, and content of social conversation. We can also accomplish this by reading with kids, and especially by dramatizing our reading of selected characters. With teens, we can ask them to read passages of fiction aloud, helping them to get inside the minds of characters and the types of language they use. (Drama, Speech, and English classes are all obvious venues, but there are other classroom and extracurricular opportunities for this as well.) With respect to social skills, reading aloud is essential. Reading quietly to yourself does not include the highly instructive experience of hearing your own voice produce social speech. Socially skilled kids are good at guessing what other people are thinking and feeling. We can help kids get better at this by practicing one of my favorite techniques – social narration. In any public place, such as the playground or a shopping mall, ask your child to observe others from a distance where their speech is inaudible. Then, ask what those people might be thinking, encouraging your child to exercise her or his social mind by interpreting body language, and especially facial expressions. (Old silent films or muted TV are other options, but perhaps less effective than real-life interactions, which are more subtle.) Be open to any narrative your child suggests, but always ask for a clear explanation of what clues were observed to come up with that explanation. It’s very important that children anchor their interpretations to what they see – it tilts their insights toward reality rather than fantasy, and points the way toward “cracking the code,” see #2 below. Do have a know a child who freezes in social situations? Nothing turns off a person’s social courage more quickly than repeatedly drawing a blank when he knows he should be saying something. When those of us who are comfortable with social speech try to coach these skills, we often make the mistake of expecting kids to remember too much. We might give a teen several either/or options (“then if she says this, tell her that, unless she seems sensitive about it, then your could discuss A or B, etc.”). We might prompt a child with something like, “remember to be polite and friendly to Uncle Ben.” Huh? Please don’t make the mistake of thinking kids need to memorize what to say in particular situations, or that they will magically know how to be “polite and friendly.” Confusion and anxiety make it hard to problem-solve on the spot. Providing just a few exact phrases and all purpose rules will make it easier. For example, it’s helpful for a shy teen to write a short script before making a phone call. Middle school students can keep a few reminders taped inside their locker or notebook. Our message, then, is less about asking kids to be more intuitive than it is asking them to collaborate with us on practical ways to remind themselves of what to say. And lots of good social intelligence is developed when we sit down with kids, in a relaxed and playful way, to write those scripts.Hint: While both of you generate sample scripts orally, ask the child to do all the writing or typing. Doing so will help those words to take root more quickly in her brain. If you’ve been to one of my workshops, you’ve heard me discuss this topic at length. In short, empathy is the bridge to a social conscience. It is the single most important social attribute to build in children, especially boys who often get confused about the difference between empathy and submission. Having said that, I rarely actually use the word “empathy” in my work with kids. It’s too abstract to be helpful. Instead, emphasize practical “acts of consideration.” Be specific in helping kids understand how to be considerate – and to make it more fun, break it down into levels of complexity, like a video game. Level I might be something as simple as holding the door open for someone, while a Level III could be as sophisticated as commenting on what a child observes to be someone’s feelings. With some children you may need to keep score. By this, I mean set goals and tally how many acts of consideration a child can generate within a defined time period. As always, verbally reinforce a social conscience, both publicly and privately – just as you would a great report card or a game winning touchdown. It’s a somewhat hollow proposition to think of social skills as a way to win popularity contests. By the time adolescence rolls around, kids have an inkling of this and will be ready to relate their emerging social awareness to big picture issues. This is the time to introduce a discussion of broader social issues going on in the world, and invite kids to apply what they know about relationships to thinking about those topics. Issues drawn from the daily news work best. Parents can jumpstart the conversation around the dinner table, or perhaps while on a long family drive. Our mission here is to help young people appreciate a diversity of wants and needs, and to expose them to the practicalities of compromise. Remember, nothing is so gripping to a young person as to think about the situation of a peer with whom they can identify. When we emphasize socially significant situations, the meaningfulness of the conversation is rarely lost on kids. Being invited to join this level of discussion is a signal that we recognize their maturity, and value their thoughts. And next time, you can ask your teenager to bring a topic to dinner. Broadly speaking, social skills groups serve two functions: learning pragmatic communication skills and decreasing the isolation of socially challenged kids. (I believe the second function is even more important than the first.) A group provides a safe place to try on and experiment with new skills like how to greet someone, disagree without arguing, give a compliment, or listen with your eyes. Experience suggests many parents would be open to enrolling a child in such a group but can’t find one in their area – aargh! That’s a shame, because social skills groups are as valuable to children as a soccer league or Blockbuster store. A good place to start your inquiry is with a school’s guidance staff. They may offer these types of groups themselves, or may know professionals in the community who provide them. You are also welcome to ask your school or community group to contact us about how we can train staff to lead a Mighty Good Kids group in your area. So much discussion of social skills focuses exclusively on the perceptual side of the equation. Social perception is certainly important, but nothing trumps the value of consistently sending social signals that convey “I’m likable,” “easy to talk to,” or “I want to be your friend.” These signals suggest social safety and invite people to be close to us. Smiling is the most basic of these positive social signals. Unfortunately, it is way underused – especially by kids who complain that nobody like them – hmmm. Try using a mirror to help your child notice what kinds of signals he or she sends others. It’s a cruel irony that kids whose faces portray social fear often push others away rather than drawing them near. Team up with school staff to give your child regular social coaching on how and when to send a range of positive nonverbal signals. A good rule-of-thumb to remember when working on any type of behavior change is that action accelerates learning. Why? Because movement and action are highly effective forms of stimulation that keep brains turned on, better able to absorb and retain new learning. Boys who stare blankly during the stillness of verbal therapy suddenly become responsive, expressive, and more effortful when provided an opportunity to move while learning. In my experience, many girls appreciate the same. Sometimes, the movement may involve role-play of specific social skills (see #1 below), but at other times it can be a less structured, more playful type of interaction. (Toss a ball, take a walk, etc.) You can use the activity as a backdrop to verbal coaching about a situation at home, school or elsewhere. Finally, action is also the best way to get the idea of empathy to sink in. A teenager who volunteers his time in the service of others is likely to understand empathy at a deeper place than someone who only talks about the idea. The underlying attitude of a teacher (and here we use “teacher” broadly, to include anyone working with a child) has a tremendous effect on outcome. Forget about trying to make kids more socially intuitive. It can’t be done, and will lead to frustration on both ends. Instead, social skills can be broken down into learnable, practical steps. Committing these steps to memory is akin to cracking the code of social interaction. This is the secret to simultaneously relaxing and boosting the confidence of socially awkward children and teens. We need to make the steps crystal clear and relatively easy to remember. It’s also helpful to drill those steps frequently, especially before situations where core skills can be applied. When we see kids using these skills, we should provide ample reinforcement. When we see them struggling, we should talk with them about the situation using a matter-of-fact, problem-solving tone. (Hint: Don’t say, “Why are you so shy?” Say, “Let’s make it easier for you to talk to people.”) Doing these things consistently has a dramatic effect on a child’s life. It also teaches an empowering life lesson – almost anything can be learned if it is broken down into steps. Bottom line: when we try to change who a person is, we are likely to fail. But when we focus on building skill sets, the leap to success is more tangible. A common theme of many of the strategies I’ve discussed above is how to make social thinking and action more reflexive. Only as social thinking becomes more automatic do we think of someone as socially skilled. We help kids turn this corner by giving them structured opportunity to rehearse what they are learning. In this regard, we become their social surrogates, frequently reminding them of which social goals they are working toward, while providing abundant opportunity to practice, practice, practice. It’s easy to turn this approach into a game with younger children, while adolescents may respond better to a more casual, low-key approach. But don’t let their awkwardness with role-play trigger your own embarrassment! People of all ages learn new skills best through practice and immediate coaching-Toastmasters, anyone? Hopefully, these suggestions are a useful starting point for you. 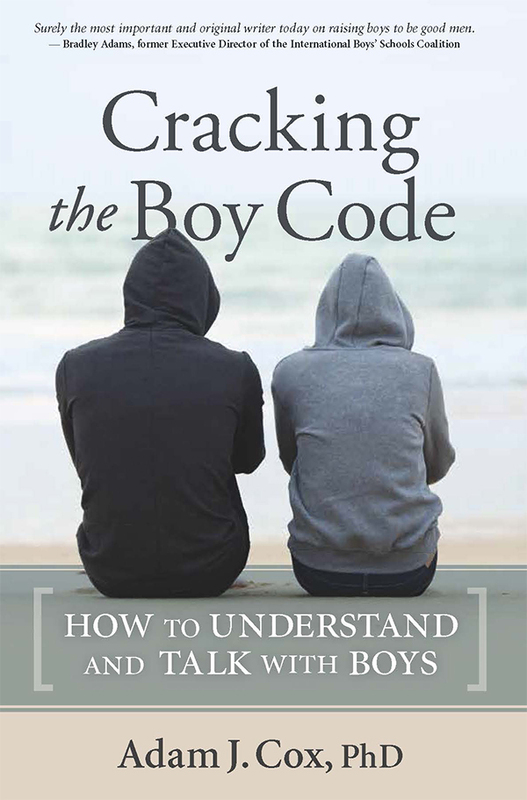 Of course, much more about coaching social and emotional development can be found in Boys of Few Words, and in my workshops on similar topics. Feel free to email my office via this website and request to be put on our Location List, so that we can advise you if I’m doing a public program in your area. (Please give name, email, city, state/province, and which program(s) you’re interested in. Also include contact information if you’d like us to forward workshop information to any local groups in your area. )Workshops at schools and community groups help me to explain not only “what” to do, but show “how” to do it. The good news: social skills can be taught and learned when we reach out with a hand kids can grab onto.